He immediately endorsed North Plainfied Police Chief William Parenti to replace him after Parenti announced Tuesday he would seek the nomination for sheriff from the Somerset County Republican organization. There are two other candidates with a law enforcement background who want to take over from Provenzano – Tim Pino, a former Dunellen police officer who joined the Sheriff’s Department in 1997 and worked for Provenzano as commander of the Sheriff’s Office K9 squad, and Art Atkins, a Democrat and former Bridgewater police officer whose father was a police officer in Somerville. 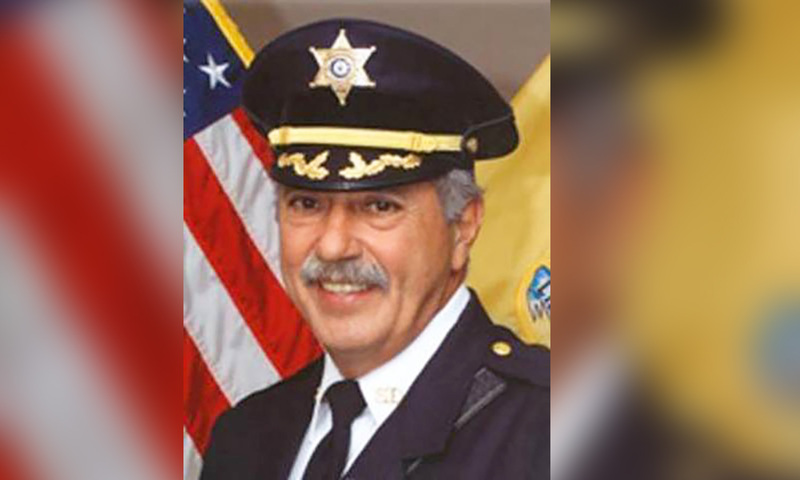 Provenzano’s sixth term as sheriff concludes at the end of 2019. Parenti, who has been chief in North Plainfield for 14 years, has been president of the Somerset County Association of Chiefs of Police for 13 years. “Frank has been a great sheriff for many years,” Parenti said. “I have been proud to support him during his tenure and I look forward to building upon the many programs designed to assist the people of Somerset County that Sheriff Provenzano championed. I write to you today with a grateful heart for all the support you have given me as your Sheriff over the past 18 years. Next to my family, my years as Sheriff have been a true highlight of my life. None of this could have been possible without your support, encouragement and hard work. And so, after 50 years in law enforcement in the service of Bridgewater Township as a police officer and the county as Sheriff, I have decided along with my family, to retire at the end of my term later this year. It seems like just yesterday that Mayor DeCicco, Senator Bateman, Dale Florio and Al Gaburo approached me and asked me to consider running for Sheriff. At that point in time, I could never have imagined the friendships and the rewarding career of serving as your Sheriff that would await me. None of those successful programs would have been possible without your unwavering support. As I move on into the next phase of my life, I feel it is incredibly important to leave the Sheriff’s Office in the most capable hands possible. Our next Sheriff needs to be experienced in law enforcement, budgeting, managing a diverse group of people and possess an unyielding commitment of service to the people of Somerset County. To that end, I am pleased to give my full endorsement to North Plainfield Chief of Police, Bill Parenti. I have known Bill and worked with him and his father, former Chief of Police Anthony Parenti, for many years. I have admired their commitment to Law Enforcement and in particular the skills and dedication Chief Parenti has always brought to the job. Bill is the past President of the NJ State Association of Chiefs of Police, as well as President of Somerset County Association of County Chiefs of Police. We live in very uncertain times and in my judgement, we need a strong person like Bill Parenti who is, by far, the very best person to succeed me as Sheriff. I trust that over the next few months you will have an opportunity to visit with Bill and I am sure you will agree with me. I look forward to seeing you and continuing to be at your service as I conclude my final term this year. I could never have made it to this moment without my family, my friends and your support. You are the backbone of our party and I will never forget you and forever be thankful.